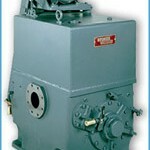 Vacuum Pump Rebuilds for all major brands of vacuum pumps. 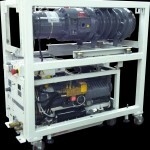 ADVACO is the premier provider for vacuum pump rebuilds and remanufacturing. 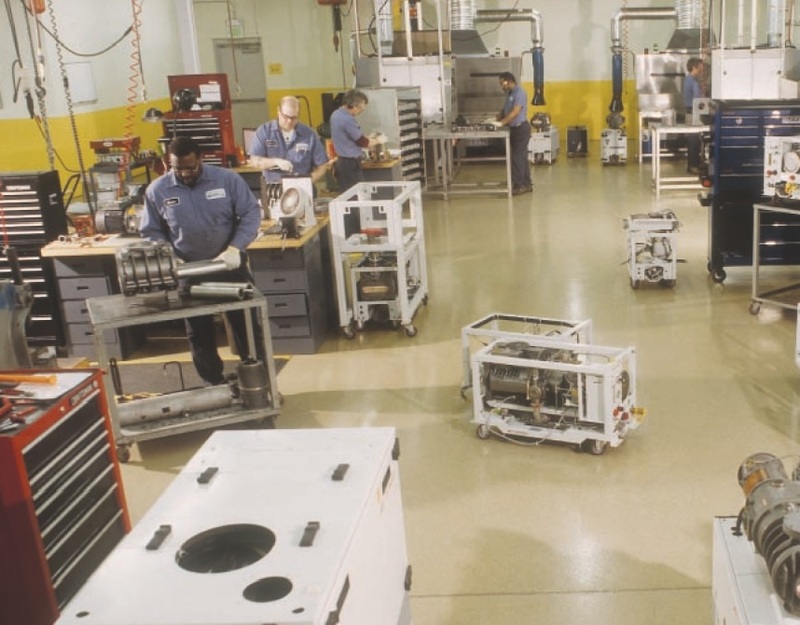 ADVACO specializes in rebuilding all major brand vacuum pumps including Alcatel, Busch, CTI, Edwards, Oerlikon Leybold, Pfeiffer Vacuum, Stokes Vane Pumps, Stoke Rotary Piston Pumps, Stokes High Vacuum Blowers, Sargent Welch, Roots Dresser, Scroll Pumps, and Varian. Each rotary vane vacuum pump is fully disassembled and evaluated to determine steps needed to remanufacture the pump. All consumable parts such as gaskets, o-rings, valves, seals, and springs are quoted for the replacement. Motors are bench tested for proper operation. 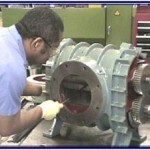 Once the customer has approved the work to be completed the pump is remanufactured by ADVACO technicians. Each assembly, each vacuum pump is rigorously tested for operating temperature, vibration, poise, motor amperage, pumping speed, gas flow and ultimate vacuum. 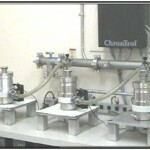 Each pump is tested and monitored by computerized test equipment and verified against OEM standards. Each Stokes or other rotary piston vacuum pump is fully disassembled and evaluated to determine steps needed to remanufacture the pump. The evaluation is “no cost” to the customer. Every rotary piston pump rebuild begins with complete disassembly and cleaning before the evaluation is performed. During the evaluation all critical tolerances are measured and noted on a detailed failure analysis report that will be forwarded to you for review. The standard rebuild of a piston pump will include o-rings, gaskets, seals, freeze plugs, keys, valve springs, valve clappers, valve seats, bearings, sight glass, oil flow indicator, ball valves, solenoid valve, drive shaft, and a rebuilt oil separator. A detailed quotation indicating the action needed is presented to the customer for review. 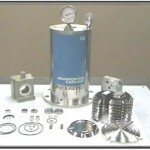 All consumable parts such as gaskets, o-rings, valves, seals, and springs are quoted for the replacement. Motors are bench tested for proper operation. Once the customer has approved the work to be completed, the pump is remanufactured by ADVACO technicians. Each assembly, each pump is rigorously tested for operating temperature, vibration, poise, motor amperage, pumping speed, gas flow and ultimate vacuum. Each pump is tested and monitored by computerized test equipment and verified against Stokes OEM standards. Each vacuum pump is fully disassembled and evaluated to determine steps needed to remanufacture the pump. The evaluation is “no cost” to the customer. The pump is returned to the customer with a full 12 month warranty against defects from time of installation. Each pump is fully disassembled and evaluated to determine steps needed to remanufacture the pump. The evaluation is “no cost” to the customer. Each assembly, each pump is rigorously tested for operating temperature, vibration, poise, motor amperage, pumping speed, gas flow and ultimate vacuum. Each pump is tested and monitored by computerized test equipment and verified against OEM standards. The pump is returned to the customer with a full 12 months warranty against defects from time of installation.